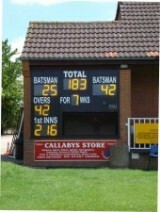 Save money on your new electronic scoreboard! 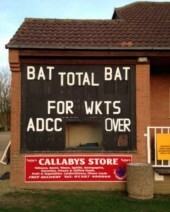 Alford & District contacted us as they wished to replace their existing telegraph plates with an electronic scoreboard. We provided them with a design for a 15 digit board incorporating a larger scorer’s window than the original. 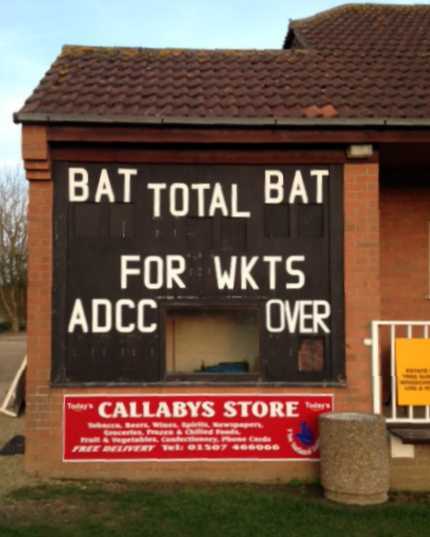 As the club had access to a joiner, we provided him with instructions and detailed drawings which enabled him to construct and fit the new fascia before we installed the electronic scoreboard kit. By building and fitting the fascia, clubs can save money and so make a new electronic scoreboard more easily affordable.